From traditional and mixed classes, to E-learning modules and virtual classes, OPTEL offers a wide range of training programs. We can help you identify the perfect class for your training needs, easily and quickly! OPTEL’s innovative SLA offer includes phone, email and virtual assistance with many options – such as Virtual Tech Support, using cutting-edge Smart Glasses solution. Discover also our Life Cycle Program, turnkey care packages providing flexible solutions to your technical issues. Support & training turnkey programs, optimized and simplified. 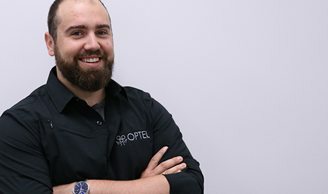 Get the most out of your OPTEL solution or let us handle your training – Choose the perfect program for your needs, to become more efficient, get trained quickly and wisely, and anticipate technical issues, all with the help of OPTEL’s experts! OPTEL offers thoroughly assessed 24/7 technical support, anytime, anywhere! Available through our personalized SLA offer, with optional Virtual Tech Support. 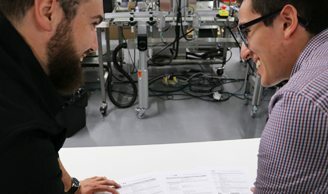 A unique “See-What-I-See” augmented reality technology for quick troubleshooting using Smart Glasses. We want to work together with our customers by helping them become more autonomous and work efficiently, with worry-free services. OPTEL’s dedicated team of technical trainers and technicians is 100% committed to customer satisfaction with a personalized touch, 24/7! 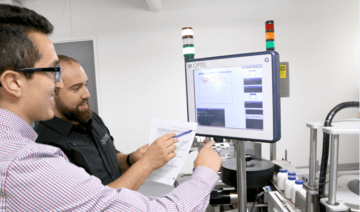 “Our trainer did well to balance a group with four people that ranged in knowledge from zero experience to some serialized batch/FAT experience. "I would like to thank you for giving us the opportunity to come and train in OPTEL. The training was very well done and would also like to thank the Alain Trudel - instructor for taking time for us. The training was very thorough and had no problem understanding the content. I was very pleased with the training as it portrayed a high degree of effectiveness. All the skills and knowledge that I have gained from this experience will be certainly put forward to my work. Again, thank you for the amazing training. " Get effective, personalized courses at OPTEL Academy or directly at your facilities!